If you've come to our salon then we know you've seen us peppering in some Bumble and Bumble Pret-a-powder after styling the hair out. What a lot of people don't know is that Bumble and Bumble recently came out with an arousal version of this product... and we kind of love it. It's one of the many reasons why the Pret-a-powder line is our April product of the month. For all of April well be posting photos, how to, and facts about this product all over our insta. So, if you're not following us click this link and smash that follow botton (@strawberrysalon). I think the biggest questions we get asked about this product is: why are there three different types, and what is each one targeted to to? Here is a little breakdown of each one so you can choose the right dry shampoo for your hair type. *PRET-A-POWDER: We'll start with the OG powder. This is a staple favorite among so many of our stylist. Plus a lot of them do this cool puff thing with it that I never get sick of seeing them do. This product is also great for adding a little volume and some texture to your hair. HOW TO USE:Parting the hair into section, shake, or squeeze bottle and massage on to roots. You can also add a pinch to your brush and work through. This is great if your ends tend to get a little greasy too. *PRET-A-POWDER TRES INVISIBLE: this dry shampoo absorbs oil and sweat from roots to ends. This lightly scented number leaves no residue. added bonus it has UV filters that help protect against the drying effects of the sun. HOW TO USE: Shake well, hold can about 10-12 inches away from dry hair, and spray. Use fingertips to distribute from roots to ends. 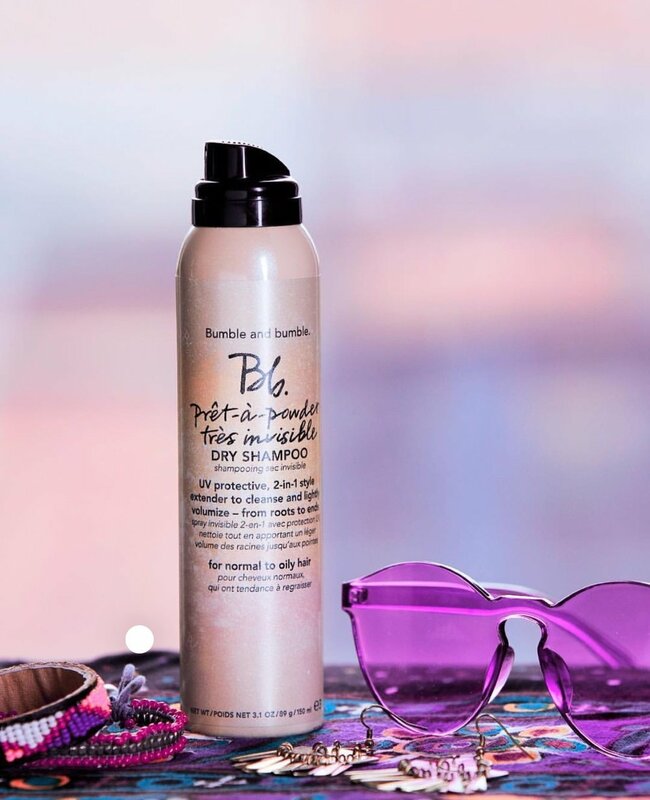 *PRET-A-POWDER TRES INVISIBLE NOURISHING: Formulated with hibiscus extract, this dry shampoo absorbs oil from roots all while nourishing dry ends. Just like the other one is leaves no residue and protects from UV filters. HOW TO USE: Shake well, hold can 10-12 inches away from dry hair, and spray. Use fingertips distribute from roots to ends. Feel with thick hair you can even use a brush to comb through and help distribute the product as well.